Sage Northcutt, a current free agent and once highly touted prospect will be heading to Singapore to take in the festivities at ONE Championship: Heart of the Lion this Friday night. Along with Northcutt, former UFC and Bellator lightweight champion Eddie Alvarez and longtime UFC flyweight champion, Demetrious Johnson will also be attending the event. With Northcutt heading to Singapore, many are asking, is Sage Northcutt close to signing with ONE Championship? It is not known at this time if Northcutt has a deal in place with ONE. 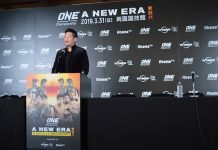 However, ONE Championship CEO Chatri Sityodong did mention him coming to the event. 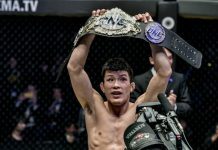 “And, for our fans, I am happy to announce that Demetrious Johnson, Eddie Alvarez, Angela Lee, Renzo Gracie, Martin Nguyen, Aung La Nsang, Rich Franklin, Sage Northcutt, and many other superstars will be in attendance to witness ONE: Heart Of The Lion on November 9 in Singapore,” Sityodong posted on Facebook. 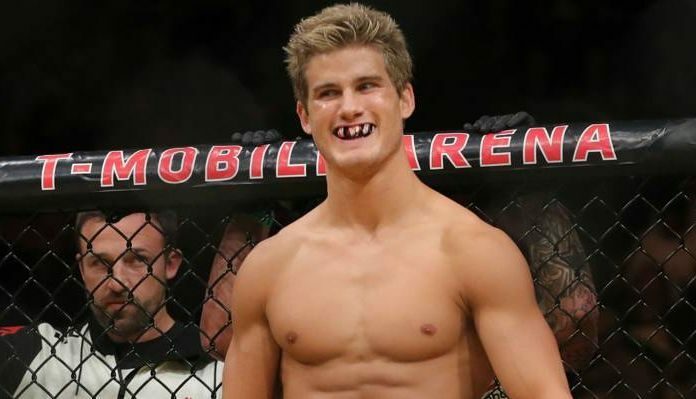 The UFC originally signed Northcutt back in 2015 after he competed at an event that was attended by Dana White while filming Dana White: Looking for a Fight. The promising prospect delivered a spectacular performance in which he won via submission. Following his fight, Dana White signed him to a UFC contract. Just two months later, Northcutt made his UFC debut at UFC 192. If this indeed the end of Northcutt’s UFC career, he ends it having gone 6-2 in the promotion. He is currently riding a three-fight winning streak after losing to Mickey Gall in 2016. Northcutt hasn’t fought since July of this year when his contract expired. 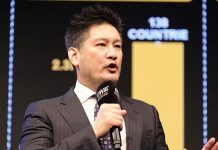 It is unknown at this time if he is still under the exclusive negotiation period with the UFC. 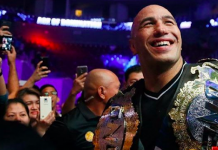 If he is not, ONE Championship now seems like a logical fit. 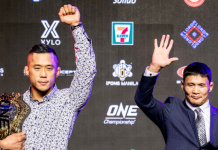 The lightweight and welterweight could be another significant addition for ONE Championship to bolster their already high-level fighters. The 22-year-old is fairly new to MMA but is still one of the more exciting prospects in the game. Do you think Northcutt will sign with ONE Championship?